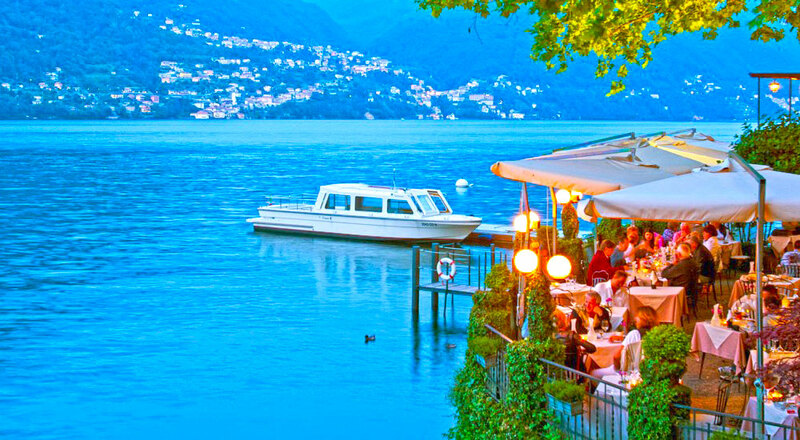 The Crotti on Lake Como are picturesque symbols which have existed since ancient times in this territory and are inextricably linked to the typical cuisine, also found in Val Chiavenna and in the Canton of Ticino. These are natural ravines that have been created within the hills surrounding the lake, probably during one of the great glaciations. It is not a matter of karstic phenomena, but of what remains of gullies dug by ice and water. Their main feature is, therefore, that of being caves, in which it manages to maintain a constantly cool temperature both in summer and in winter, between 6° and 8°. This is possible thanks to a continuous stream of air that manages to condition these environments in a way still scientifically not entirely explained. Some of the “crotti” or “crot”, as they are called in the local dialect, have been family-run for generations and that is where you can taste the typical Larian cuisine. The Crotto Valdurino is the only one left in the area of ​​Vergonzano di Moltrasio and has carried the flag of the traditional cuisine for at least 6 generations. Between the rock, the hearth of 1907 and wooden counters in a characteristic environment, you can taste dishes such as risotto with perch, agon in carpione and lavarello with butter and sage. They are seasonal dishes that depend a lot on the catch of the day. In winter, however, do not miss the game with birds prepared with a side of polenta or cassoeula, braised and other stewed meat. To reach the dining room you have to climb a steep staircase that leads to a warm and welcoming environment, characterized by stone walls, ceiling with wooden beams, small windows, a very nice ceramic stove that’s always on in winter and inebriating perfume of the dishes of the house. Among the most tasty dishes there are the “bottarga” of lavarello and, by reservation, the mixed fried fish of the lake. The wine is of the house, very tasty and not to be overlooked are the desserts, the pies and the pastry with custard. It is one of the most beautiful panoramic cracks to visit, not only for the view it offers during the tasting, but also for the very special dishes that can be tasted. The meat is cooked on stone (called in piota dialect), but there are also excellent cured meats, such as bresaola, mortadella and cheeses, among which the “semuda” is worthy of mention. Il Crottone is one of the historic crotti on the lake, as it has been operating for at least 400 years and it is always the same family that manages it: the Riella family. It is so called because of the presence of large plane trees near the rock that cast reflection on the lake. It is located in the area between Brienno and Argegno and boasts at least 400 brands of wines kept in the barrels of the large cellar. Also in this case the dishes are a delicacy that contemplate both dishes based on fish from the lake and game, without forgetting some reinterpretation that still does not fail to enhance the tradition. It seems that between the two world conflicts was the favorite place for those robbers who tried to blend in with the patrons.